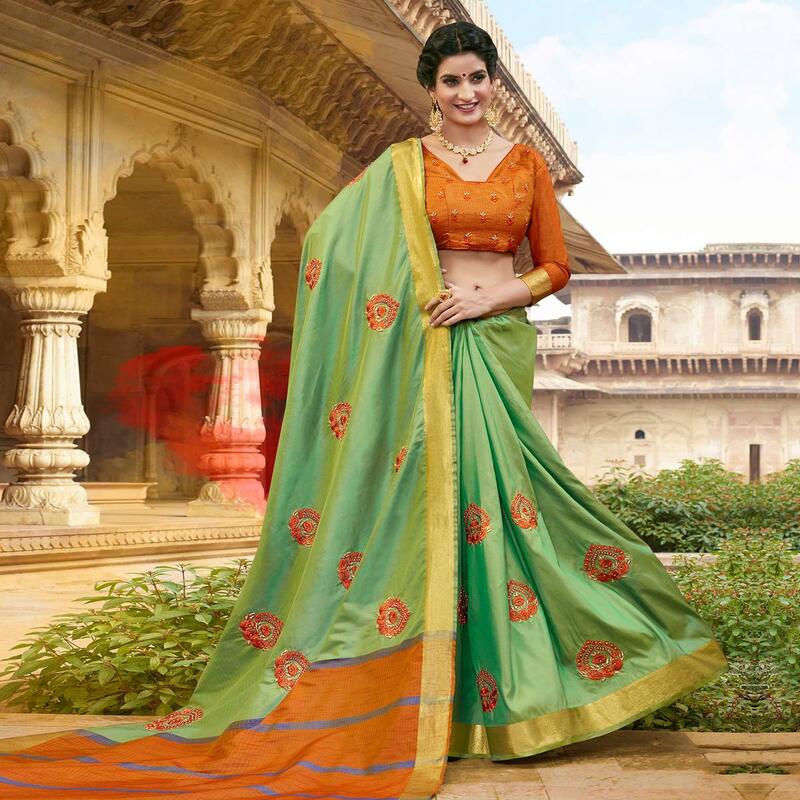 Make the heads turn when you costume up in this light green colored satin silk saree with exquisite designs and patterns. The lovely woven, embroidery with moti work throughout the saree is awe inspiring. This saree is teamed with unstitched art silk fabric blouse piece which can be stitched as per your requirements. This saree would surely attract you showers of compliments when you wear it for office, events or occasions, where you want to be center of attraction. Pair it with ethnic accessories to make the look more outstanding.